Tayrona National Natural Park is one of the most important tourist attractions in Colombia. Many foreigners people visit the place daily for its wonderful beaches, wildlife, flora and ecological trails. 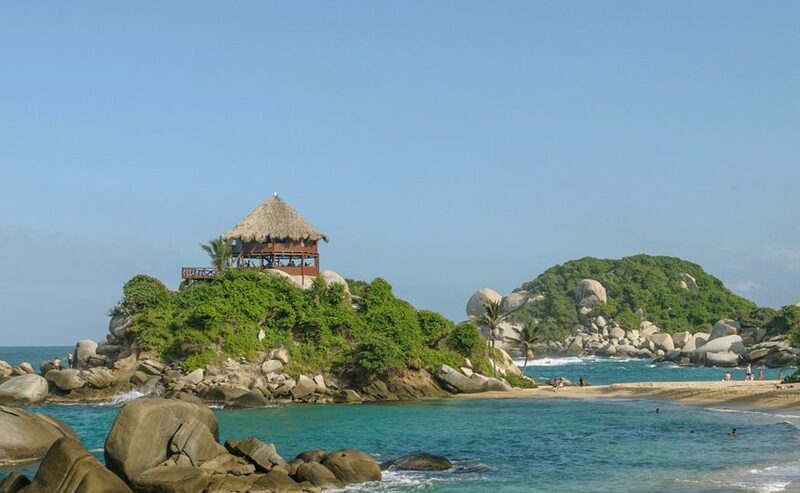 Lovers of nature, adventure, culture, bird watching and landscapes choose Tayrona Park as one of their favorite destinations in their travel itineraries. Tayrona Park has an unparalleled history where the culture of our indigenous perform different activities for the care and protection. The Tayrona park is located in the area they call: the black line, a place that makes up the ancestral sites of the Arhuaco, Kogui, Wiwa and Kankuamo peoples of the Sierra Nevada de Santa Marta. During the time that the Tayrona Park remains closed, the indigenous make payments (rituals) to the mother earth. Being one of the most visited touristic place in Colombia, it receives many tourists every day. January, it’s the highest season. Many people visit the Tayrona Part and it keeps full every day. On February the Tayrona Park is closed just after the full season because the ecosystem need to be recovered. After this you can appreciate the large amount of fauna and flora that is recovered. It is an ecosystem recovery in one of the driest times of the year. Connection with the earth and the universe. The black line is an imaginary line that connects the sacred sites with the earth and the universe. The Sierra Nevada de Santa Marta is the heart of the world. For indigenous peoples their connection is infinite and that is why it is necessary to close the Tayrona Park and connect again with Mother Earth. During this period the authorities carry out different activities to make the place a perfect paradise for when it reopens. More than talking about a closure, it is a support to preserve the ecosystem and our history. It is a break from one of the most visited areas of the country. Now you know 5 of the main reason why Tayrona Park is closed, Now we invite you to plan your trip to Tayrona park in another time of the year. You will enjoy this beautiful place. Thank you for contributing to the recovery of the ecosystem.